My head is full of clouds. And that’s not a metaphor. 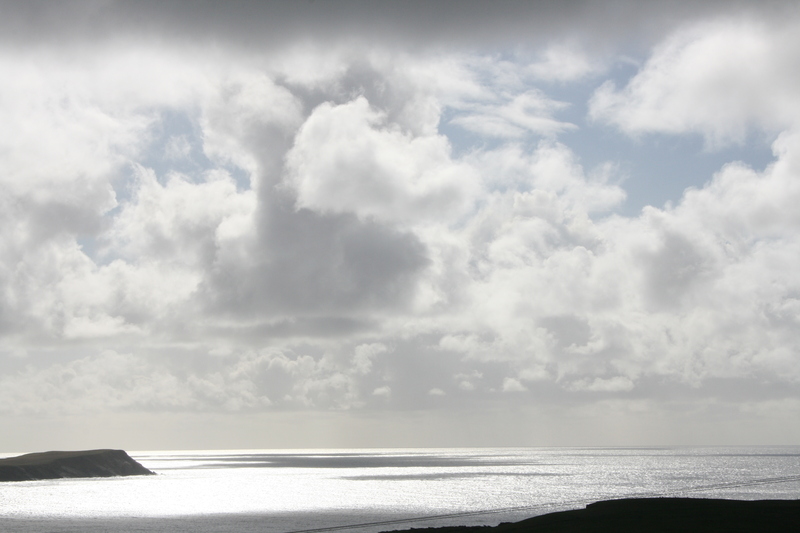 After two days in Shetland my eyes are reeling from the clarity of the light and the intensity of a vast, rapidly changing sky. There’s a never-ending cloudscape drama playing out here between the wind, the sun and the weather and it’s set against a backdrop of turbines, gravestones, rocks and ruins. As I travel I’m constantly stopping to take photographs then to stand still and just watch the movement cross the sky. Up here on the far northern edge of Europe there are no trees or shrubs to soften the bare starkness of the islands so every feature stands out, defined sharply against sea and sky. I’m no fan of wind farms and oppose their unchecked development throughout mainland Scotland yet here their cold linearity somehow seems to fit the landscape and add to its drama. And they’re efficient here too, the most productive in the world. I’ve done a lot of wandering round ancient brochs and buildings and spent hours reading gravestones. 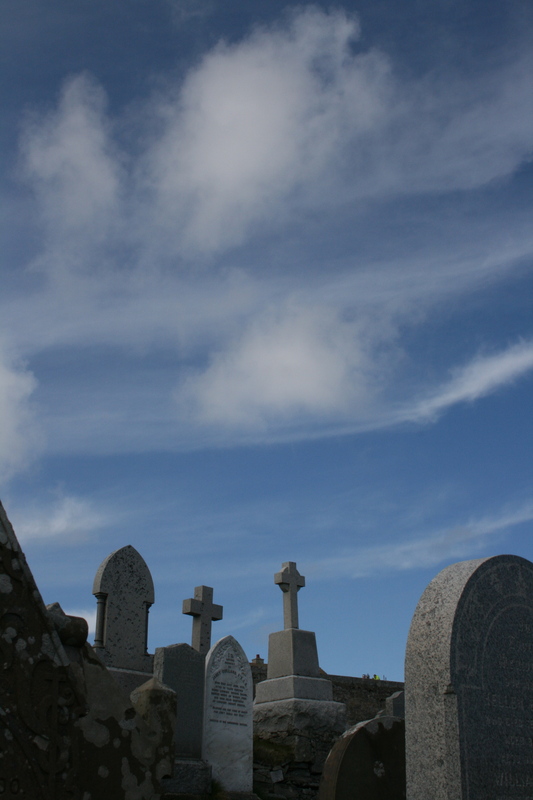 On the outskirts of Lerwick there’s a graveyard on the hill tiered down to the edge of the sea so that every grave has a view of the islands and cliffs. A beautiful place. When it rained I visited the new museum in Scalloway with its captivating exhibition on the “Shetland Bus”, the small scale wartime missions masterminded here and conducted by sailors who took small fishing vessels between these islands and Norway, fuelling the Resistance there and rescuing people from the tyranny of German occupation. The stories of bravery, of boats lost with no survivors and voyages made in horrendous weather make for powerful reading. Tomorrow I’m tempted to head further north to the island of Unst, and its most northerly point at Hermaness to see the puffins and Bonxies. And I’ve been advised to take a stick to protect myself from attacks by these Great Skuas which dive-bomb and attack as you walk across the moors. Ah Shetland, whether it’s birds, landscapes or men, you’re not for the faint-hearted.